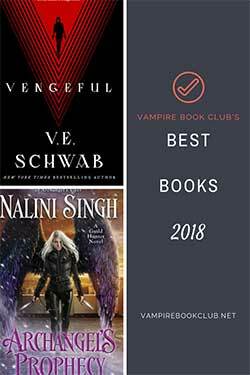 While this review is spoiler-free, it does assume you’ve read the other books in the Elemental Assassin series. You’d think with Mab Monroe dead and buried life would have gotten a little easier for Gin Blanco. But all Mab’s death accomplished was bringing the rest of Ashland’s creeps out of the woodwork to kill The Spider. 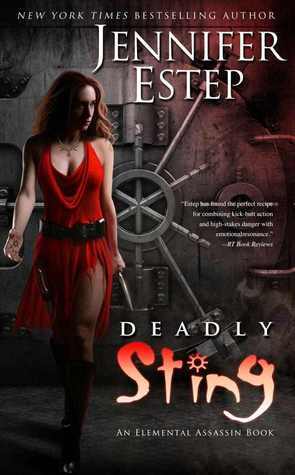 Deadly Sting starts a few weeks after the events of Widow’s Web. Gin’s nursing her broken heart, and Finn’s determined to distract her: He demands her presence at a gala showcasing the late Mab’s jewelry and art collection. Even though she had no desire to see the spoils, she agrees to go, and it’s a damn good thing she does, because it’s not long after the guests gather in the museum that things go sideways. Turns out someone thought having all Mab’s treasures in one place was too tempting to pass up. And it’s up to Gin to thwart the robbers. Gin’s been one of my favorite heroines since Spider’s Bite, with her hit first, ask permission later attitude, and the way she grows and changes with each book. 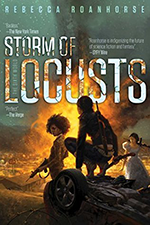 In the last book we saw a new, unexpected side to Gin when she pushed aside her first instinct in favor of letting Owen try to handle things his way, and this time around was no different. Instead of sitting in a corner and nursing her shattered heart (which, if the love of my life walked away, I’d be catatonic for at least a week), she tries to get on with the business of living, and living without Owen, despite the pain she still feels. And the interactions Gin and Owen do share were realistic-rocky, a bit strained, colored with longing and hesitation. The cast of characters surrounding Gin has always been colorful and well-rounded, and as Gin grows, so do her friends. One of my favorites has always been the relationship between Gin and her younger sister Bria, and while Bria’s had her doubts about Gin’s way of doing things in the past, she doesn’t this time. She jumps right in and doesn’t question Gin’s decisions. And that’s mostly because the pace doesn’t allow otherwise. The bulk of Deadly Sting takes place over the course of a few hours, so there’s no room for missteps or debate. There’s barely any time to breathe, for that matter. Gin’s got a museum full of giant guards to get around, so she’s got to be on top of her super-stealthy game. The end throws another twist into a long, long line of them from throughout the series, and you know Gin can’t let her guard down yet. It won’t be long before someone else wanders into the Pork Pit and tries to take her out. Think Die Hard in an art museum! This one was a lot of fun, despite some relationship angst. It seems to be setting up several things for upcoming books. I loved this one just as hard as the others in the series. Mags – Die Hard in an art museum. Great way to sum it up in one statement!